Welcome to RepWarrior! We specialize in personal and business reputation management. We are dedicated to fighting for your good reputation. We will control the narrative about you or your business, and create a ‘digital firewall’ of protection to guard against negative content ever surfacing in the future. 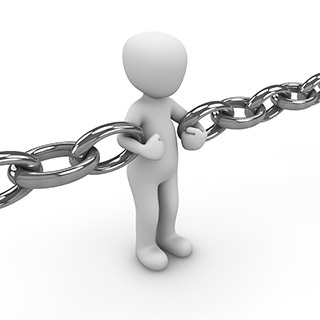 Our work will help block any future negative links when someone types in your name, or your business’ name. RepWarrior offers some of the most competitive prices in the industry. We charge you one fee only, and do not lock you into expensive, multi-year contracts. Our work is authentic, lasting and permanent and our results are guaranteed! We offer an interest free payment plan, and payments can be spread out over 12 months. We only ask for the first and last payments up front to get your campaign started. We would love to speak with you about your reputation management issues and concerns. You can call us during normal (west coast) business hours at (855) 9FIXREP / (855) 934-9737 or email us. Do you have personal or business reputation issues that directly affect you or your business in a negative way? Our mission is to help our clients regain their good reputation, and amplify this out onto the Web. We use a proprietary blend of tactics and strategies to suppress negative content about you or your business and replace them with content that we create. The team at RepWarrior will oversee your reputation management campaign every step of the process, ensuring that we get you the results you’re looking for. Contact us today to speak to someone about your reputation issues, or with any questions you may have. For our celebrity or corporate clients with especially challenging national or international reputation issues, we offer a suite of proprietary technologies that are custom-built and target threats related to high search volume, powerful authoritative websites, viral negative campaigns and misleading search auto-suggestions. If you have especially challenging reputation issues, we can help. Contact us today to speak to someone from our special projects team, or to get a free assessment and estimate of our costs.